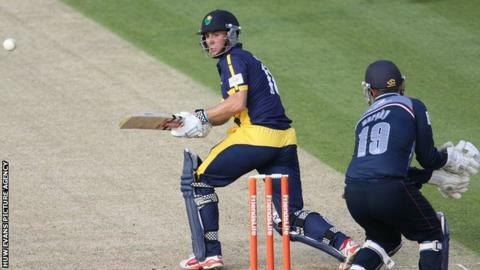 Glamorgan will play most of their Twenty20 fixtures on Friday nights, including six out of seven home games in a new-look county cricket fixture list for 2014. The campaign starts on 16 May at Hampshire with the final group game on 25 July against Gloucestershire. In previous seasons the competition has been played in a shorter block in the middle of the season. Caerphilly-born Toby Radford will be in charge of Glamorgan next season. The new format Twenty20, renamed NatWest T20 Blast, is designed to bring in more fans overall and leave the lucrative event less vulnerable to a spell of bad weather. Next season the new 50-over competition - the Royal London One-Day Cup -will be concentrated into a few weeks between 26 July and 20 August. Glamorgan will start their first campaign under new coach Radford with a LV County Championship match away to Surrey at the Oval on Sunday 6 April with most four-day games running between Sundays and Wednesdays. The annual visits to Colwyn Bay and St Helen's in Swansea are yet to be confirmed though two championship fixtures and one 50-over game have been earmarked for the two out grounds.